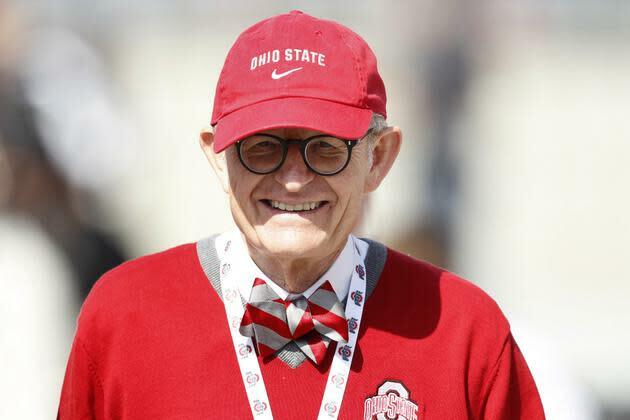 Once Gordon Gee's controversial comments came to light, it was fair to wonder how his tenure at Ohio State would end up. Even if he was joking, remarking that you "can't trust those damn Catholics" and wondering if SEC students can read is not a good look for a college president – and it wasn't the first time some off-the-cuff remarks got him in some trouble. After many apologies, and canceling a commencement speech at a local Catholic high school, Gee announced he would retire on July 1. It's probably not the fitting finish the 69-year-old Gee, also famous for his large collection of bow ties, had in mind. The Dispatch story doesn't say if Gee was pressured to retire after the comments. In the news release, Gee said he came to the decision after a family vacation. "During my days away, I also spent some time in self-reflection. And after much deliberation, I have decided it is now time for me to turn over the reins of leadership to allow the seeds that we have planted to grow. It is also time for me to re-energize and refocus myself," Gee said.